Memorial Day stands for the unofficial start of summer, a long weekend, and an extra day to spend time with the family. But above all, it is a significant holiday designated to honor the lives lost while serving in the country’s armed forces. This is also a celebration of the freedom we have because of the selfless sacrifice of veterans. There are several things you can do in Omaha and Council Bluffs this Memorial Day weekend to celebrate, have fun, and most importantly, honor and remember those brave men and women. The 2016 Big Ten Baseball Tournament is becoming a staple on Omaha’s annual calendar of events since its debut in 2014. This is a prequel of sorts to the College World Series, in which the legendary Big Ten compete to return for the CWS in June. In fact, the tournament takes place in TD Ameritrade Park — the very same stadium where the CWS will be held a few weeks later! Many say that Memorial Day marks the unofficial start of summer. It is, in fact, the day you can legally start wearing white pants, according to the Fashion Police! 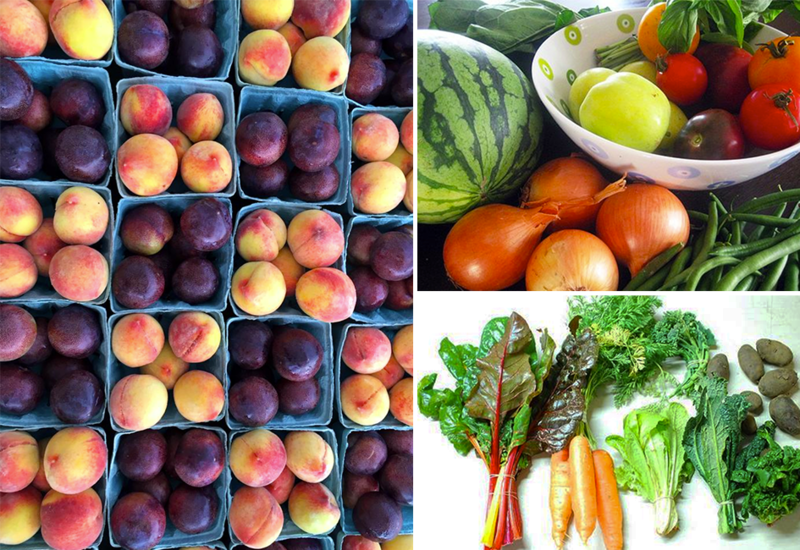 So what better way to welcome summer than with a visit to a local farmers’ market? Check out the many farmers’ markets in Omaha and Council Bluffs throughout the spring and summer — paying special attention to the ones that fall on Saturdays and Sundays. To simplify this list a bit, let’s draw your attention to a couple of our favorite weekend markets. With an extra day added to your weekend, Memorial Day weekend is the perfect time to gather fresh produce and make a farm-fresh, homemade meal for the entire family! Visit the Omaha Farmers’ Market at the Old Market on Saturday between 8 a.m. and 12:30 p.m. This is one of the more popular markets in the area, as it located in a central and bustling area within Omaha and features 100+ vendors to shop from! This market is actually considered the best farmers’ market in all of Nebraska. If you sleep in on Saturday and miss out on produce shopping at the Old Market, you’ll have another chance on Sunday! The Omaha Farmers’ Market at Aksarben Village is happening from 9 a.m. to 1 p.m., featuring over 100 vendors in one of the most happening areas around. Omaha’s Henry Doorly Zoo & Aquarium is hosting a special Memorial Day weekend celebration. Between 9 a.m. and 5 p.m. on Saturday, Sunday and Monday, the whole family can experience wild entertainment, including bounce houses, airbrush tattoos, and special animal presentations for all ages. All of the Memorial Day activities are completely free for zoo members and free with regular paid admission. Make sure to get there early! Not only will you beat the crowds and get a headstart on the festivities, but the first 1,000 people to walk through the gates will receive a special patriotic gift from Oriental Trading Company. This is a fun way to kick off summer, enjoy the best zoo in the world, and spend time appreciating nature with the family! If you don’t remember one thing we suggest, remember this: Loessfest 2016. This annual festival celebrates all of the great things happening in Council Bluffs, the unique landscape of the Loess Hills alongside the Missouri River, and the unofficial start to summer on Memorial Day weekend. This event was established in 2013, and attracted more than 66,000 people from all over the region in its first two years. 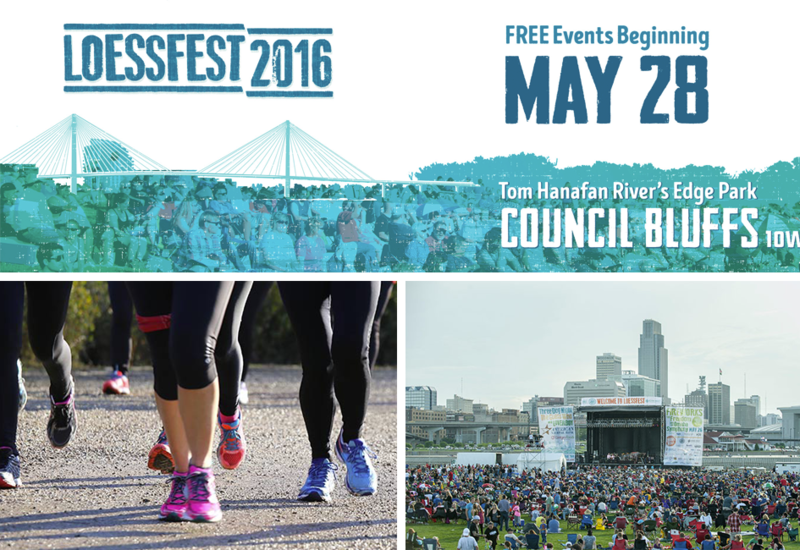 The week-long festivities take place at Tom Hanafan River’s Edge Park on the Iowa side near the Bob Kerrey Pedestrian Bridge. This festival has a large number of events happening from Saturday, May 18 all the way through Sunday, June 5. The weekend kicks off with the Run Loess Half Marathon and 5K on Saturday at 8 a.m. Register in advance to be a part of this exciting run starting and ending in Tom Hanafan River’s Edge Park! The fun continues at the Riverfront Block Party that afternoon. This family block party on the river features a live concert performance by Imagination Movers, food, music, bounce houses, and a screening of Disney Pixar’s “Inside Out” at dusk! On Sunday night, enjoy a free concert at the park with headliners Kool and the Gang, a jazz, R&B, soul, funk and disco group that has influenced generations since 1964. On Memorial Day, head back to the park for a special concert performance called “Fireworks for Freedom” from The Omaha Symphony, honoring America and its veterans. The concert will be followed by a beautiful fireworks display. Admire the spectacular artwork in the sky and the Omaha skyline on your lawn chairs and blankets. The party continues the day after Memorial Day with Bike the Bluffs on Tuesday, May 31. Grab your bikes and meet up at Tom Hanafan River’s Edge Park at 6 p.m. to enjoy a fun ride through the park to beautiful Council Bluffs trails and back again. This is a fun opportunity to take in the gorgeous and ever-changing landscape of Council Bluffs via bike with hundreds of fellow bikers. And the best part? This ride is completely free and requires no registration! Check out the full event schedule for Loessfest to see what other fun activities are happening throughout the week! This is a celebratory and festive community event you and your family will not want to miss. Each Memorial Day, there is a special ceremony that takes place at Memorial Park to honor our veterans. This year is no different. 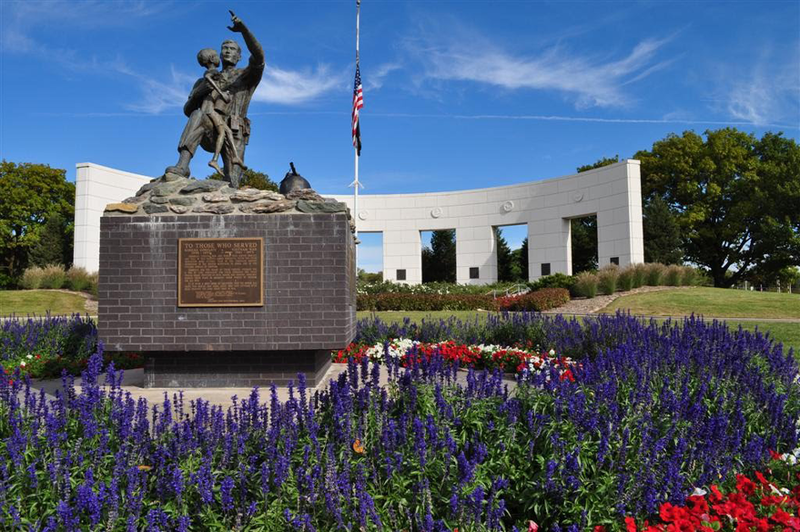 Head to Memorial Park to witness this inspiring ceremony at the park created as a memorial for all men and women from Douglas County who have served in the armed forces. The service starts at 11 a.m. and is hosted by the Heroes of the Heartland Foundation. Spring selling season is underway and so is the ritual of sellers opening their doors on weekends to invite potential buyers to snoop around, judge their décor and test the water pressure. Open houses are a popular way to sell homes. Last year, half of all home sellers used one to market their houses. But just like any event open to the public, everyone is not always on their best behavior, including potential homebuyers. As you hit the open house tours this spring and summer, keep in mind of these do’s and don’ts. Can you use the bathroom? In this day and age, almost every activity can be posted on Facebook, Instagram or Twitter for your family and friends to see. But don’t get camera-happy at an open house without asking the showing agent first. Feel free to inspect pantries, closets, cabinets and drawers that come with a home. Remove any medication from bathroom drawers and cabinets, says Longtin, because some people will steal them. “When someone closes the bathroom door, I become suspicious,” she says. Can you bring food or drink? Resounding no. As a consolation, some real estate agents offer snacks or drinks at open houses. This one got mixed answers. If the seller requests no shoes, buyers should comply. “Remember to wear matching socks,” says Miller. Otherwise, make sure to wipe your shoes off well on a doormat before entering. What other behavior should you avoid? Don’t smoke either inside or outside the house. Don’t throw garbage out in the home’s trash cans. And keep children under control. Longtin remembers one time when some children started playing with toys belonging to the seller’s children. Letting children lose can be a danger, too, if the house isn’t child-proofed. 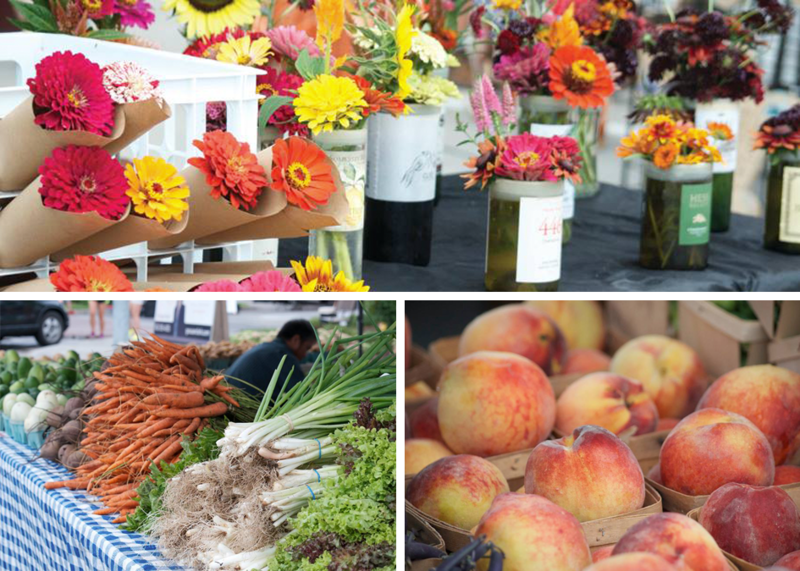 One of our favorite spring features is the return of farmers’ markets scattered all over town. In fact, there are so many in the area that one of them is bound to occur on the most convenient day to fit your schedule, and at a convenient distance from your home. If you haven’t noticed, we are huge proponents of being local, and farmers’ markets are one of the most raw forms of supporting the local community — specifically farmers, makers and small business owners. These markets are also wonderful resources for SNAP participants to get fresh and healthy produce using vouchers! Be a part of the thriving and exciting farmers’ market community in the Omaha/Council Bluffs area this year! May 14 – September 24, 2016 | Every Saturday 8 a.m. – 12 p.m. This volunteer-run market takes place at Washington Park every Saturday, rain or shine. 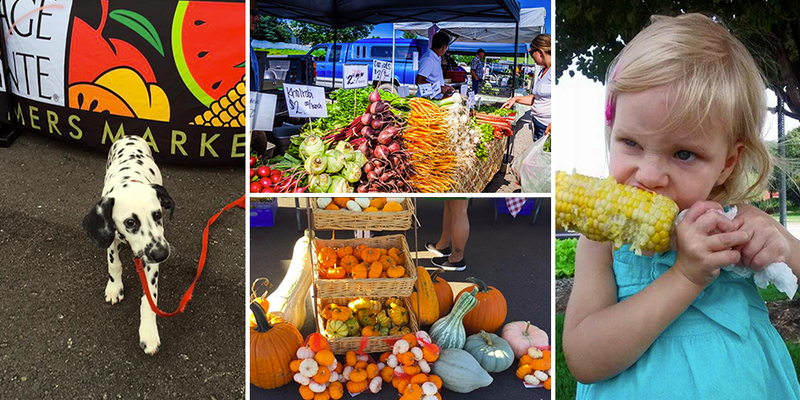 While the Bellevue Farmers’ Market is always family (and dog!) friendly, don’t miss the special kick-off celebration on May 14, featuring lots of family-friendly activities and live entertainment! Take a look at their vendors before each week’s market to know who you’ll be shopping from. But no matter who is there, you’ll have plenty of fresh produce, baked goods, bread, crafts, furniture, jewelry, and more to choose from! May 7 – September 24, 2016 | Every Saturday 9 a.m. – 1 p.m. The Benson Farmers’ Market has a new home at the Omaha Home for Boys, a non-profit organization that provides care and support for at-risk youth ages 12-24. The market welcomes a wide variety of vendors with incredible products, and even accepts debit or credit cards! In exchange for a card swipe, you will get denominated tokens that can be used at all booths. Starting July 22, 2016 | Every Wednesday 3:30 – 5:30 p.m. The Charles Drew Health Center Market is one of three markets in the Omaha area bearing the Omaha Farmers Market stamp of approval. It couldn’t be more appropriate that this market is outside of the Charles Drew Health Center, as farmers’ markets host a large supply of fresh produce beneficial for your health. Shop directly from vendors such as Wenninghoff Farm and Huffman Produce, while you talk with the farmers who are proud of their fresh produce and offerings. June 2 – September 20, 2016 | Every Sunday 10 a.m. – 3 p.m. The Florence Mill Farmers’ Market is located at the Florence Mill, a historic mill connecting agriculture, history and art. 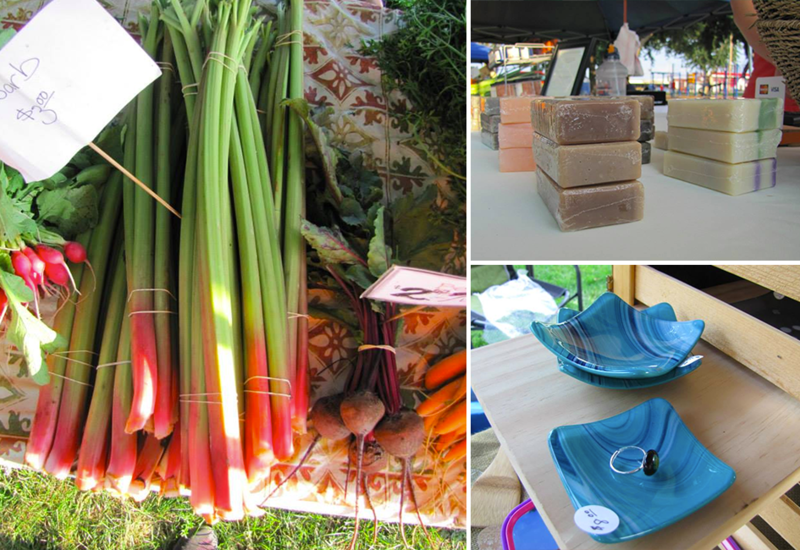 At the farmers’ market every Sunday, peruse their selection of local produce and artisans displaying handmade crafts, and enjoy weekly educational presentations, massages and live music! Starting May 5, 2016 | Every Thursday 5 – 8 p.m. 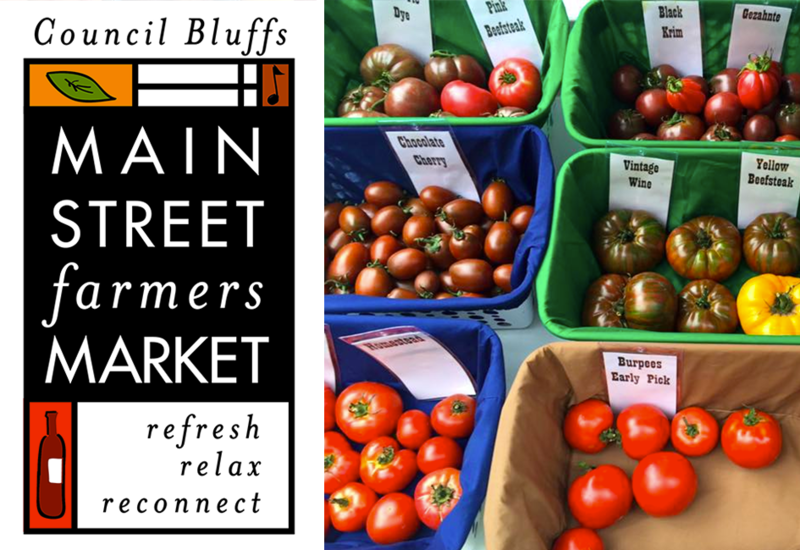 The Main Street Farmers’ Market pops up in the historic 100 Block of West Broadway in Council Bluffs, between 1st and 2nd Streets every Thursday between May and September. This lively summertime community tradition features fresh produce, baked goods, talented artists and live music. This is a wonderful place to wind down at the end of the day, grab some last-minute farm-fresh ingredients for dinner, and support local businesses all the while. May 7 – October 15, 2016 | Every Saturday 8 a.m. – 12:30 p.m.
Perhaps one of the more well-known markets in the area, the Omaha Farmers’ Market at the Old Market is a sight worth seeing and a community worth immersing yourself in every Saturday during the summer. In fact, the Omaha Farmers’ Market is considered the best farmers’ market in all of Nebraska. Once you see the bustling activity, abundance of goods available, and the 100+ smiling vendors at the Old Market location, you’ll see why! May 8 – October 16, 2016 | Every Sunday 9 a.m. – 1 p.m. If you accidentally sleep through the market on Saturday in the Old Market, you’ll get a second chance at produce purchasing at Omaha Farmers’ Market at Aksarben Village every Sunday! This market also has 100 vendors and is growing in number each year. As one of the hottest neighborhoods in the area, Aksarben Village is a major hub for activity, especially during their summer farmers’ market! June 1 – September 7, 2016 | Every Wednesday 5 – 8 p.m. The Papillion Farmers’ Market at City Park at the corner of Washington Street and Lincoln Street is a Papillion tradition every summer — and is making some exciting additions this year! Along with their jampacked special events schedule, the market will have a few market extension dates lasting through the beginning of fall. This will be a smaller market focusing on produce, baked goods and other fall essentials. You can visit the extended market from 4:30 – 7 p.m. on September 14, 21, 28 and October 5. July – October | Every Wednesday 4 – 6:30 p.m. & Every Saturday 9 a.m. – 12 p.m.
Travel to the charming community in Plattsmouth to their annual Plattsmouth Farmers’ Market nestled in their historic downtown area. Choose from locally sourced herbs, vegetables, honey, jams, nuts, fruits, pet food and baked goods! May 7 – October 1 | Every Saturday 8 a.m. – 1 p.m. Pick up local food from Nebraska, Iowa and South Dakota farmers at Village Pointe Farmers’ Market located on the south side of Village Pointe Shopping Center. Perhaps the most notable feature of this market is that it is the only farmers’ market in Omaha that requires GMO labeling. The market aims to elevate community awareness of the importance of sustainable, local, family-owned farms. The Village Pointe Farmers’ Market also strives to educate the community about wholesome food that comes from said farms and its importance to our health. They take this education a step further by actually providing these healthy options at their market! As mentioned, we are a local company that values, supports and encourages local businesses. We challenge you to do the same! One of the best ways to get involved in a community is with a visit to one of the above-mentioned farmers’ markets.